The shortcode editor has recently gone through a major update and looks and feels very differently (hopefully in the positive way). This change however means one big downside - large amount of screenshots in our documentation is outdated, so we began the painful process of updating all the old screenshots, so the guides will actually guide, not confuse. The year 2016 is slowly moving to it's end. 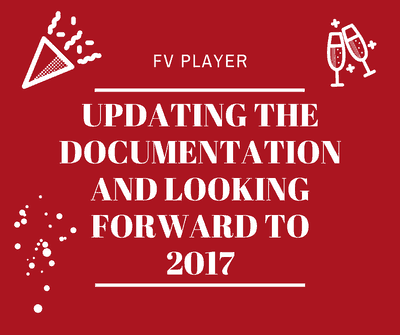 Although it wasn't a good year for everyone, we were working really hard here at Foliovision for the whole twelve months to constantly improve our FV Player. This is the last batch of new features this year (and there were a lot of them, just check the blog), so read on and enjoy. FV Player's shortcode editor just got a fresh new haircut - an updated user interface! The new horizontal look is cleaner, more easy to use and takes and removes the need to scroll down through all the active functions. You can find everything sorted into handy tabs, similar to those you know from the plugin's settings. Having a new and more tidy interface is not the only upgrade that we made. The best part is the live video preview. Whether it's changing the dimensions of your video, activating features or anything else you can do in the shortcide editor will be immediately generated into the live preview of your video. That is located on the left side of the editor, giving you the instant feedback of how your video will look. While out on Twitter today, I visited the Facebook page of the company of a new acquaintance also in the marketing trade. 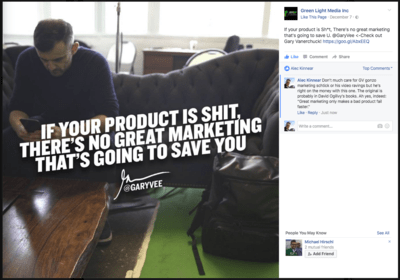 Silvia had decided to cite Gary Vaynerchuk. Pretty compelling statement. I really agree with it. There is more junk created and marketed on the internet than in world history (there were some pretty weird elixirs hawked in the newspapers around the turn of the century in America so marketing excesses in the favour of poor product are not altogether unprecedented). 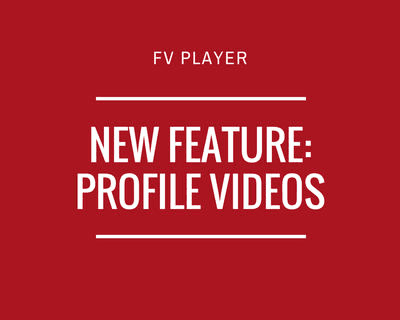 The 6.0.5.11 update of FV Player brings a fresh new feature - Profile Videos. It allows the members of your website to add Vimeo and YouTube videos to their profiles/user bios by automatically integrating with WP Bio. 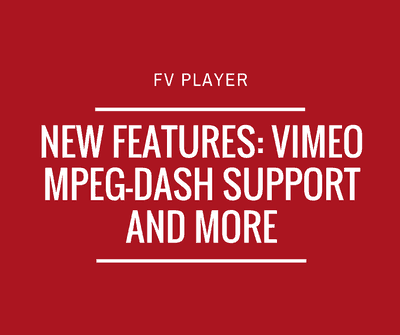 The owners of the FV Player Pro license will benefit from this the most, since all the videos from Vimeo and YouTube will be integrated to FV Player, as you can see in the image below. The free version will get you only simple iframe embeds. 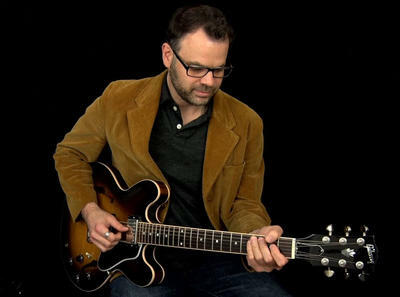 Going from 30 students at the local music store to thousands of subscribers on his website, music teacher John W Tuggle is now living everyone's dream. To have a passive income source that makes money while you sleep is what every person wished for at some point, and John got there with the help from FV Player. When he was 17, John bought a Kay Electric Guitar and Peavey Rage amp, using the money he saved up from working at a grocery store. (Very “Summer of ‘69”.) He took private guitar lessons and spent a lot of time in his room trying to learn how to play Led Zeppelin and Jimmy Hendrix. 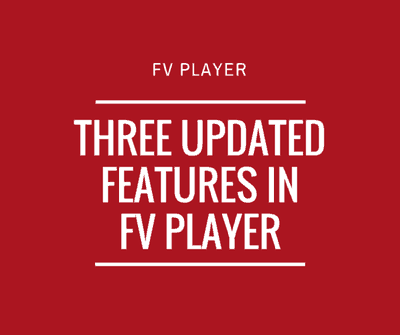 There have been some changes in our FV Player lately and a couple of popular features have been updated. Everything in WordPress starts in settings and FV Player offers a great number of things that can be customized. All of the settings however were cluttered on single long page. Therefore, we've decided to make the player's settings menu more clear and user friendly by adding tabs, that group similar settings boxes. Now you don't have to scroll down, search for, or look things up in a drop-down list. Just switch the tab and set up what you need. When the community needs a new function, we like to deliver as fast as we can. That means the new features are not always stable in the beginning and might contain some bugs. As with every software product, the new and experimental features that are working but are not yet without flaws, are released under the label Beta, so everybody knows that they should be prepared for the possibility of issues. This gives the people who want to use the new features the option to do so the very second they are available. But what about the users that don't need it and want to use the plugin as stable and bug-less as possible? 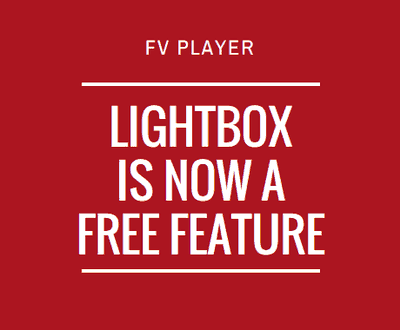 Great news for everybody who's using the free version of the FV Player! The video lightbox function, which until this point was exclusive for the owners of the Pro licence, has been moved to the free version and from now on it is available for everyone. Lightbox is a popular function that opens images in an overlay window, bringing the content to the centre of the view and dimming the rest of the page. You don't have to create separate galleries, or have your audience open the content in new tabs. 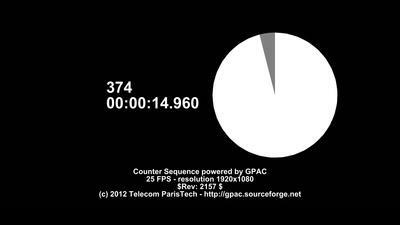 It's a very simple solution that doesn't slow page loads or clutter the code. Keep reading Lightbox Now for Everyone! 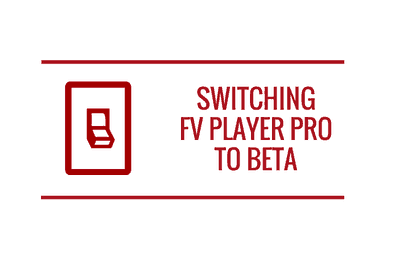 We work hard every day to bring the FV Player closer to perfection and here are the newest improvements. The player supports YouTube playlist integration, allows you to set the delay of pop-up ads and the VAST plugin has now improved tracking in Google Analytics. From now on, when your audience wants to embed one of your videos, it will be done through an enhanced iframe tag, which is easily handled on every platform. 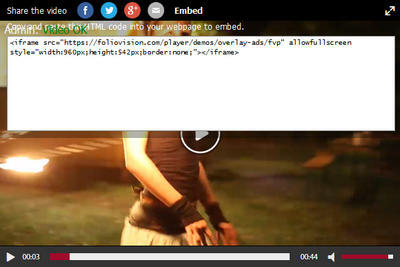 The improved iframe embedding supports ads and playlists, but is also capable of embedding a video that is originally hosted on YouTube or Vimeo. 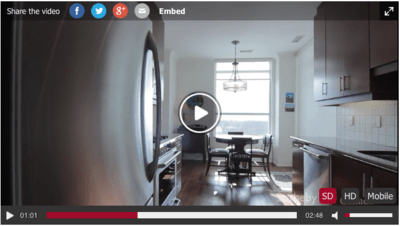 The embedded video will contain it's original responsive properties along with sharing options on social media. 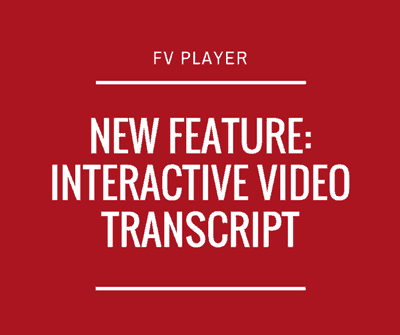 A couple of days ago we've rolled out a new update of FV Player - version 6.0.4.13, which among other things adds a new feature. From now on, you can use a FV Player widget to insert the player into sidebars. This is a great way to easily pin your most valuable video content and choose where you want to place it. You can set it up in the Widgets settings and choose in which sidebar, or sidebars you want it and what videos you want your users to see. This is limited only by the theme you are running. For more details on how to set up the widget, check our illustrated guide. 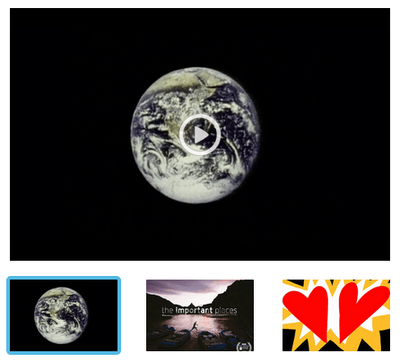 Our free video player for WordPress FV Flowplayer featured only a single playlist style for a long time. We made the required code improvements to open the huge potential of custom playlist styles. By default you get playlist thumbnails below the player. Multilingual subtitles are a great new feature of FV Flowplayer. This feature has been added in the Flowplayer 6 core, so finally we got around to create user interface for it. Following video features a button in bottom right corner which allows you to pick the subtitles language. The issues in Flowplayer 6.0.1 were fixed, thanks to Flowplayer team for quick fixes! 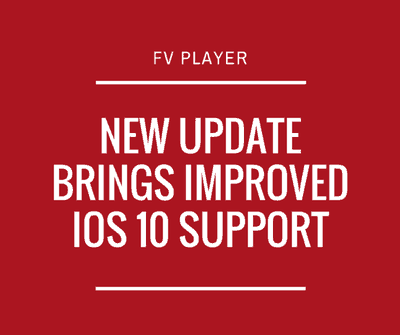 The new version of FV Flowplayer 6 is at WordPress.org and the pro version is released as well.